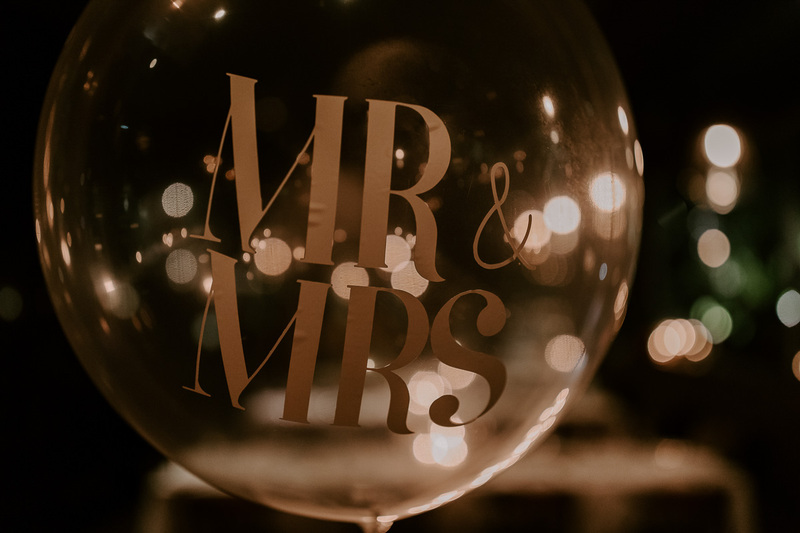 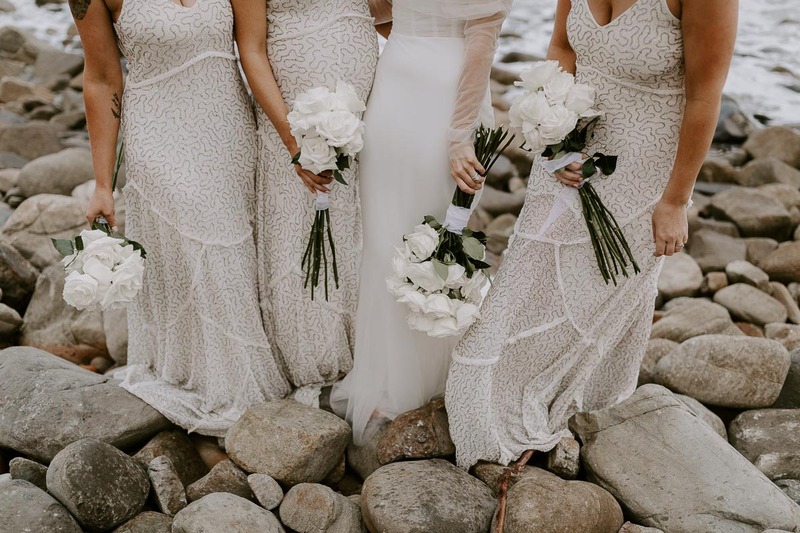 This wedding was never going to be anything less than stylish! 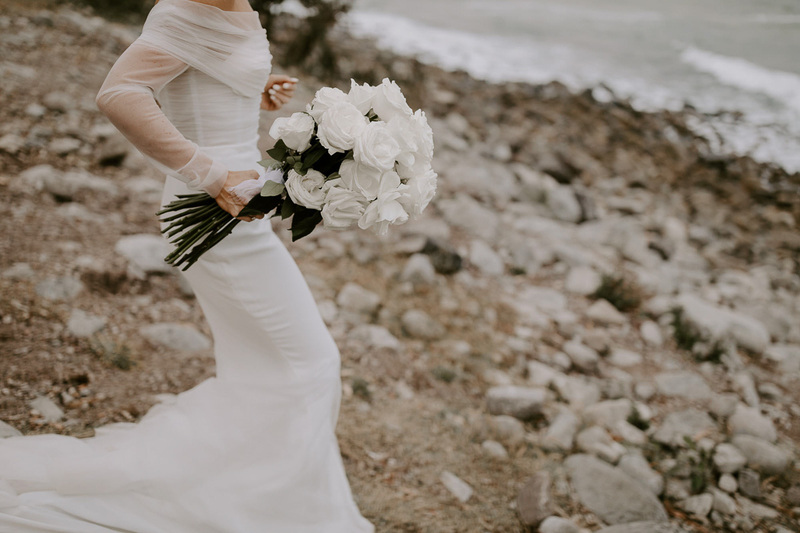 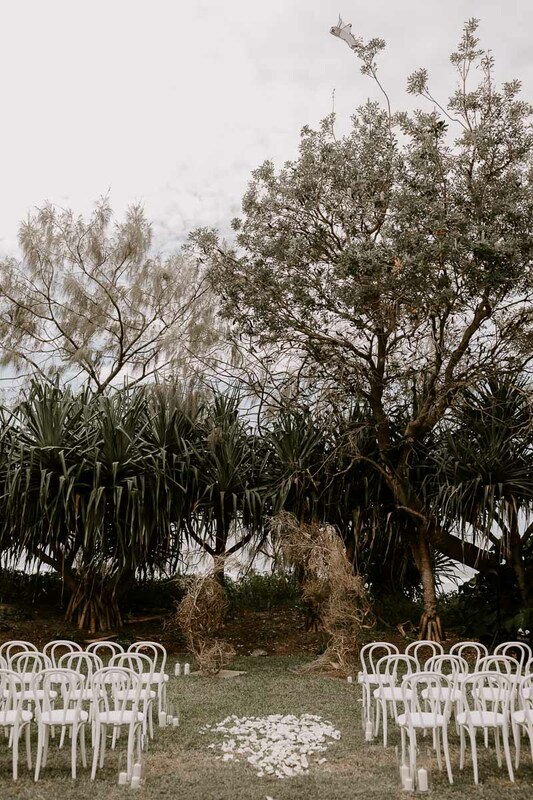 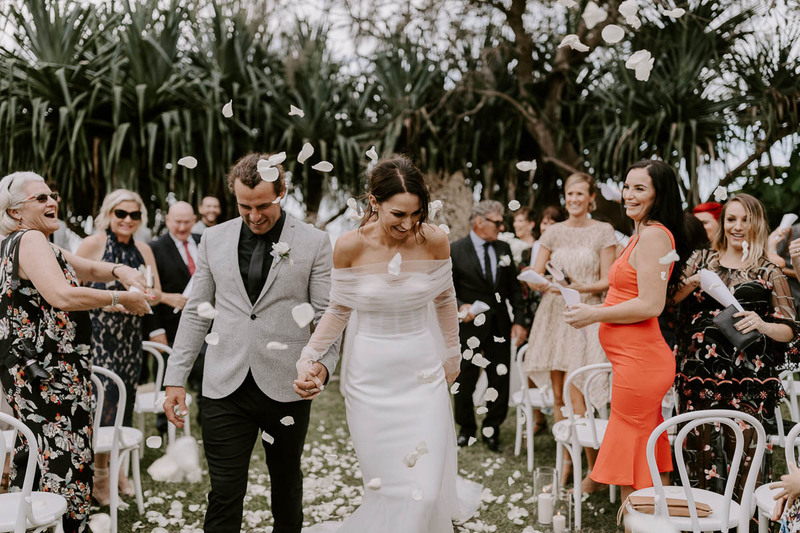 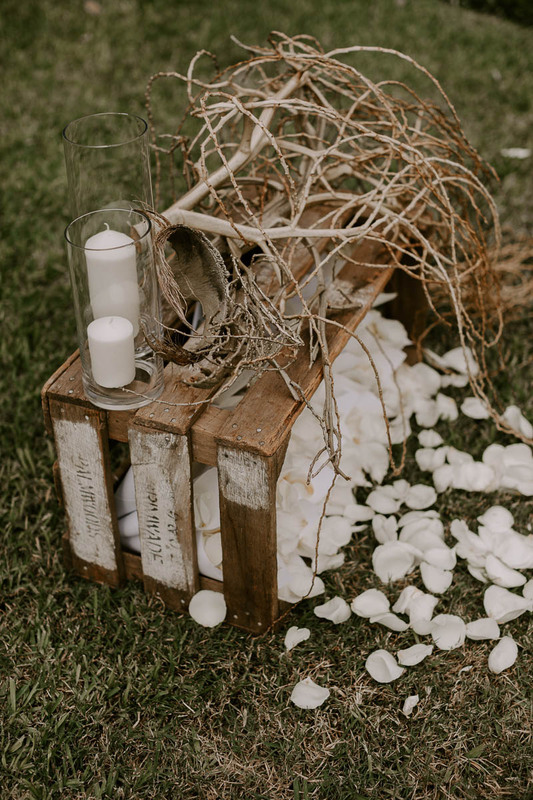 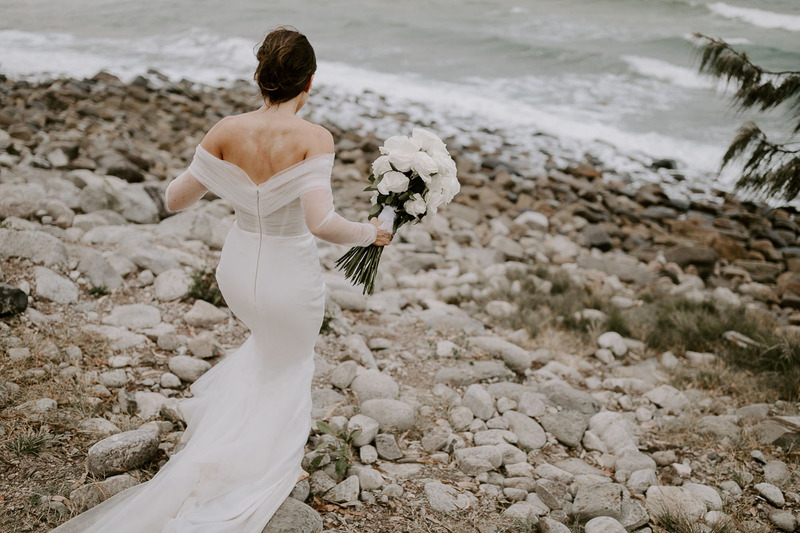 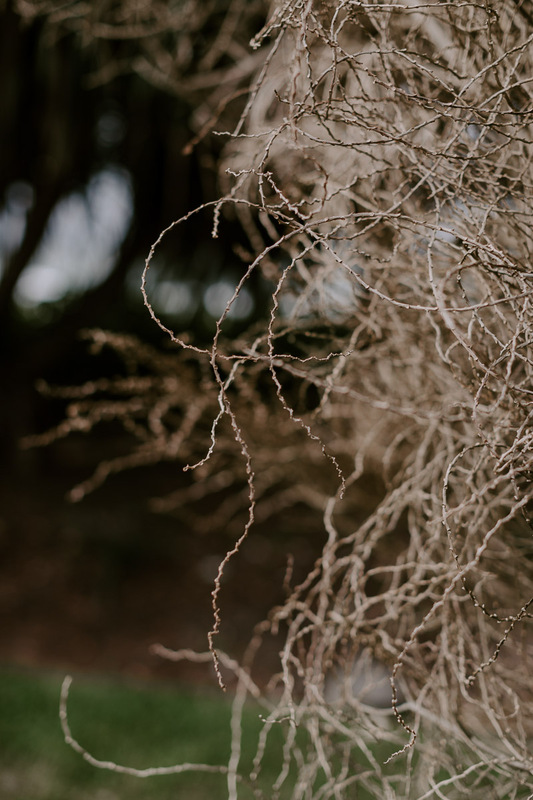 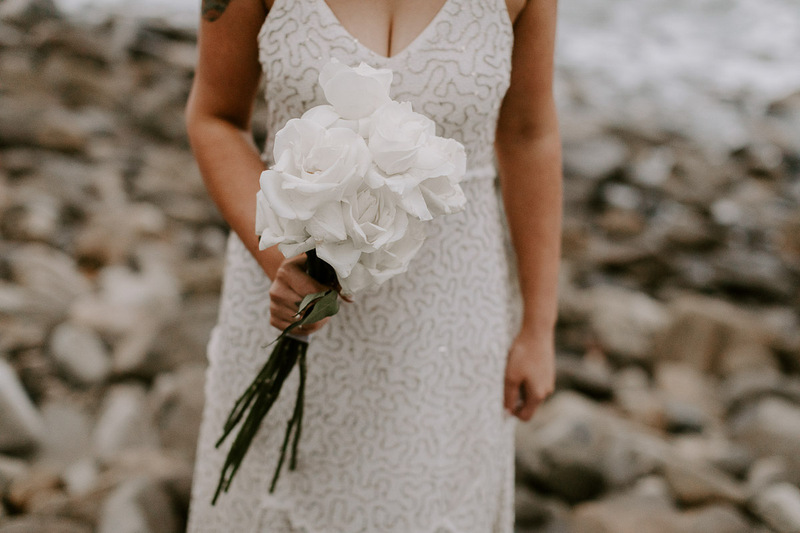 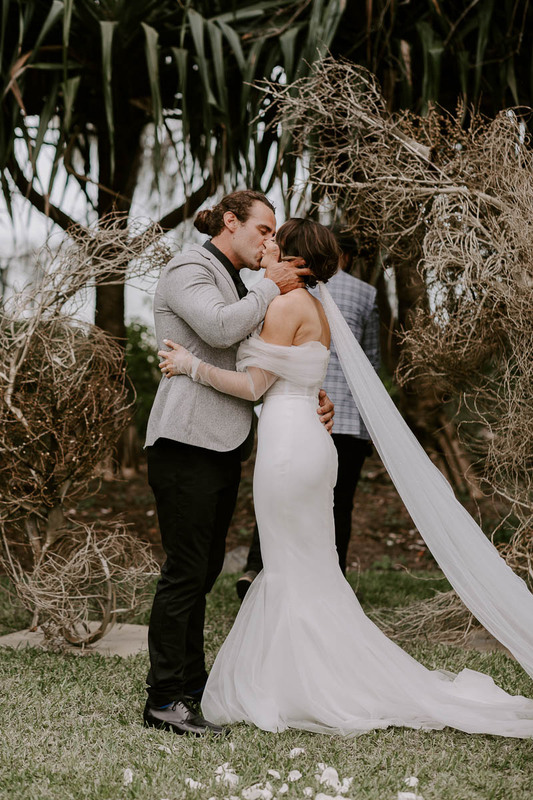 Sarah, owner of Sphere Collective in Maroochydore, married her one true love in a gorgeous gown she designed herself at Noosa Main Beach under the Pandanus tree. 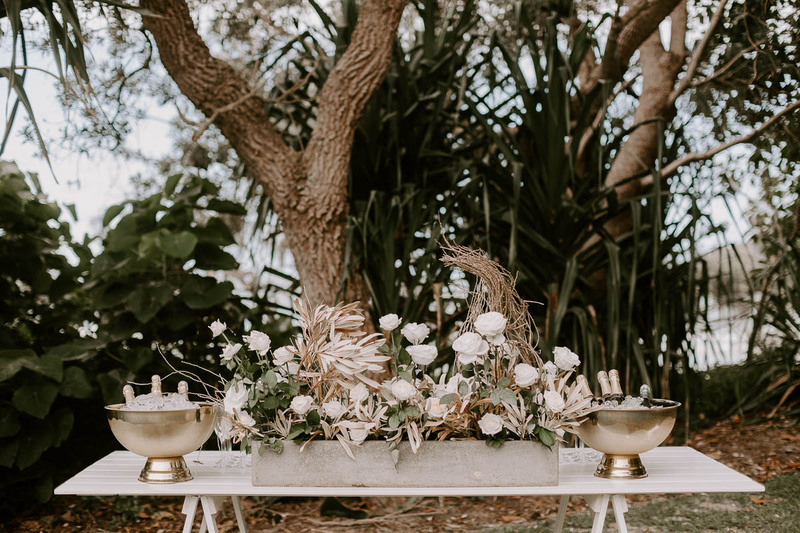 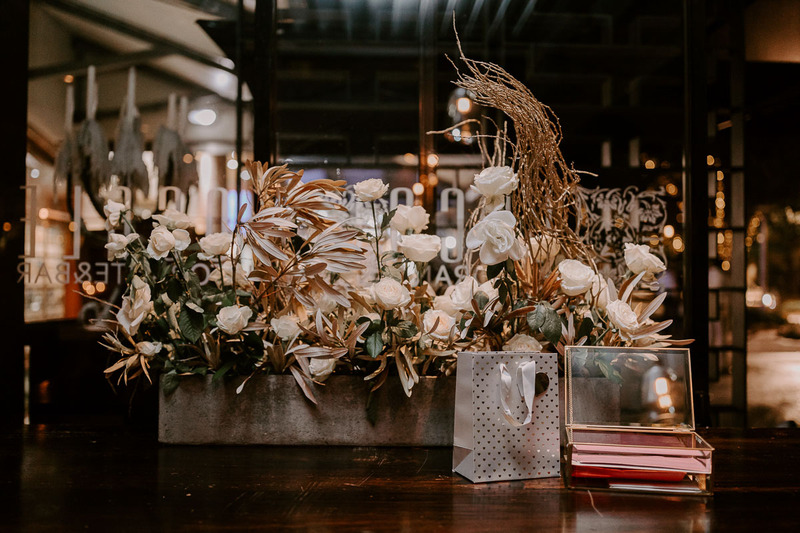 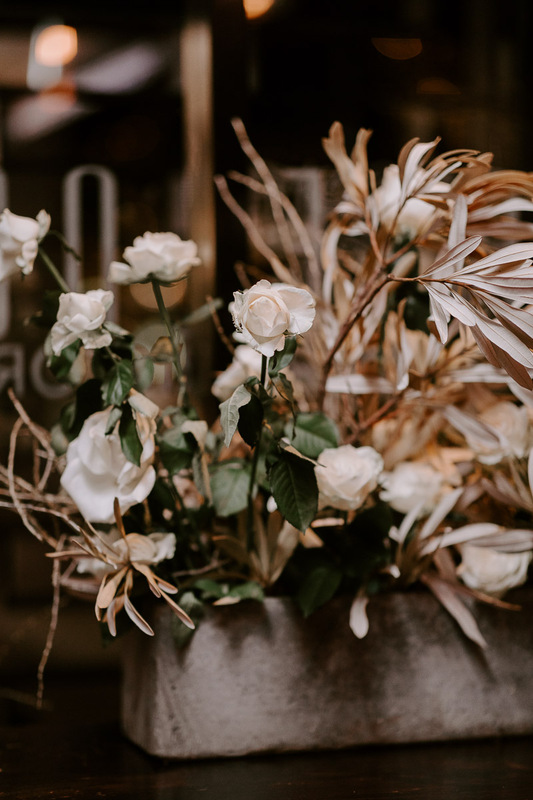 I made an arbour of simple gold sprayed palm fronds that was textural yet simple as was the theme of this wedding with bouquets of just long stem white roses. 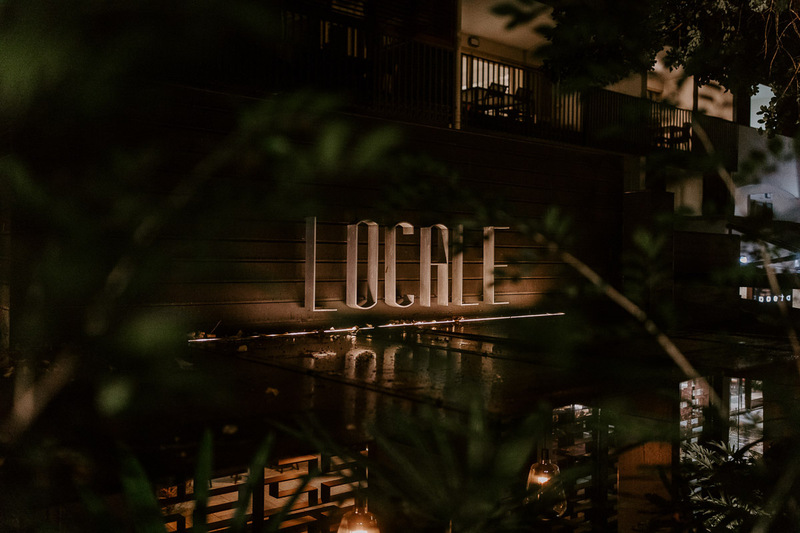 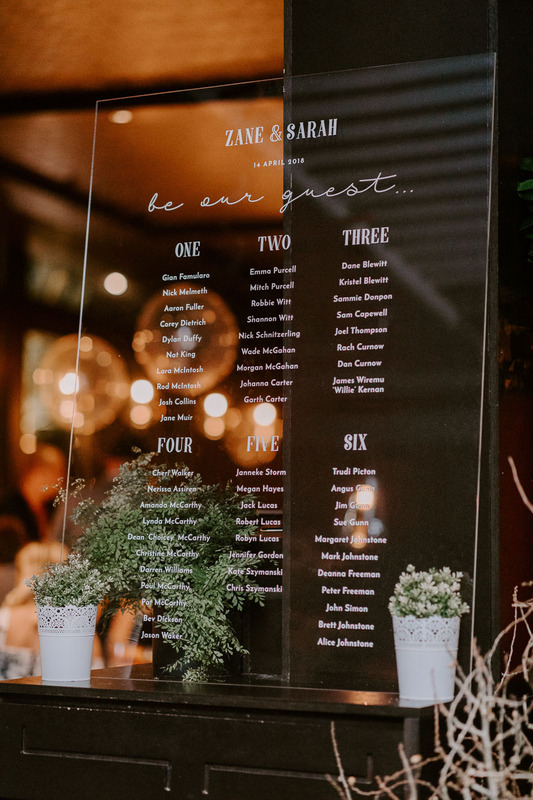 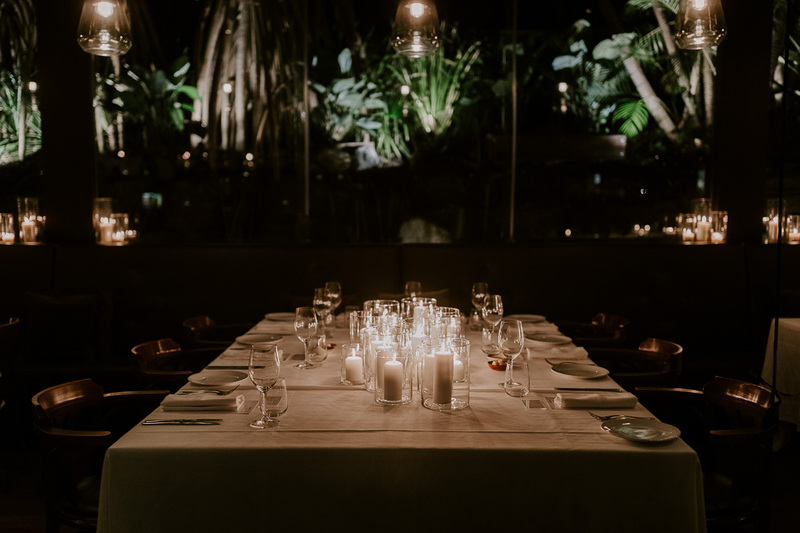 The reception was held at Locale restaurant on Hastings Street.